Styled with lambeck short and kurata raincoat . 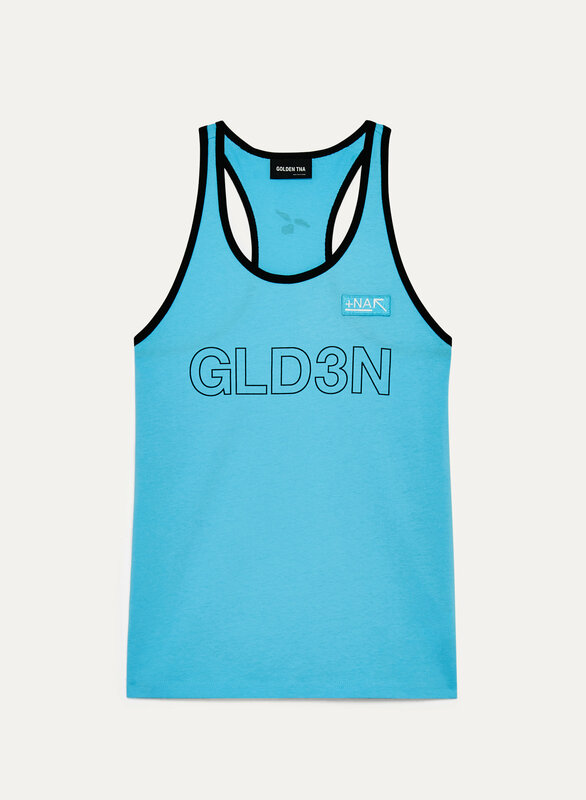 Golden's version of the slim racerback is made with soft combed cotton. The custom graphics were created by the brand's in-house textile designer.